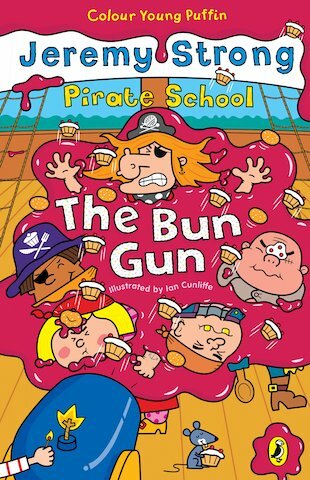 Our plucky little pirates-in-training are planning a daring raid on headteacher Patagonia Clatterbottom’s food store! The only problem is that some gruesome grown-up pirates, the Woppagobs, are trying to steal the goodies as well. But the young pirates’ reckless rivals stand no chance at all against Ziggy’s amazing bun gun – a cannon that fires sticky buns and doughnuts! Splat!